As the baby boomers retire, governments around the world are facing possible blowouts in their budgets for essential medicines. To the pharmaceutical lobby, the risk is exactly the opposite – if they fail to achieve a purchasing regime that satisfies them, they stand to miss out on a golden profit opportunity over the next few decades. Both sides therefore, have a keen interest in the outcomes of the Trans Pacific Partnership (TPP) trade deal with respect to drug evaluation, approval and pricing – andin the related matter of extending the patent periods for therapeutic drugs and medical devices, which would in turn extend the timeline for when cheaper generic products can come to market. Judging by the TPP texts leaked so far, the trade deal could well affect how the state purchasing agencies (eg Pharmac in New Zealand) goes about its job of buying essential drugs at a reasonable price. Scrapping Pharmac altogether is not on the table. How it operates though, is coming under sustained fire. Kevin Sheehy [pictured below] heads Medicines NZ, the local branch of the drug industry’s US lobbying organization phRMA. In its February 2011 submission to the US Trade Representative Ron Kirk, PhRma referred to “ problems” in the New Zealand market that it wanted the US government to ensure were “ quickly and effectively resolved.“ The submission noted the current lack of a mechanism under New Zealand patent law to enable drug companies to be compensated for any undue delays between the registration of a new medicine and its availability for prescription. 1. When it comes to the clinical approval and purchasing decisions made by the likes of Pharmac (and its clinical advisory panel, PTAC) the drug companies want to establish (a) more clinical inputs beforehand (b) more opportunity for appeals against clinical and funding decisions afterwards and (c) more robust avenues of compensation for any undue delays. 2. In addition, Big Pharma seeks to extend how long it can retain exclusivity for the research data associated with its clinical drug trials, thus blocking access by generics companies to the data, and thereby delaying their arrival on market. The ‘data protection’ exclusivity period is currently eight years in Canada versus 10 years in the EU. In New Zealand it is five years. 3. They also want the TPP to embrace “patent term restoration” – a measure that exists in Europe and the United States that provides pharmaceutical companies with the potential for up to five extra years of patent life for their drugs, as compensation for any “unreasonable” time lost in obtaining regulatory approval. The push is on to extend patents either formally through patent term restoration or in a de facto way, by extending data protection. As will be explained below, increasing the period of data exclusivity is a protectionist move by Big Pharma aimed at blocking the competition from generics. It is not a trade liberalizing measure. All these issues are in play in New Zealand, both within the TPP negotiating sessions proper, and in TPP-related discussions about Pharmac. 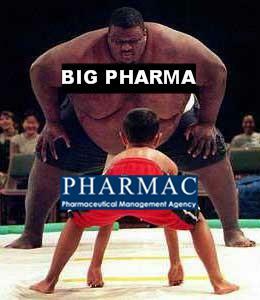 The phRMA’s main beef with Pharmac as indicated in its letter to the US Trade Representative is that it claims Pharmac routinely (a) under-invests in innovative prescription medicines (b) makes unpredictable funding decisions (c) pays insufficient heed to the clinical experts on its PTAC expert panel and (d) operates in a non-transparent way. Guilty as charged on all counts, Kevin Sheehy confirmed when that summary list of grievances was read to him. To repeat : if granted this would in turn, delay Pharmac‘s ability to buy the cheaper generic substitutes, and would extend the period that Pharmac had to purchase the more expensive version in the interim. According to Sheehy though, neither the granting of a patent nor the regulatory approval suffer from unreasonable delays in New Zealand – not at least, compared to some other jurisdictions. The timeframe for data protection, he explains, could well be the more pressing issue. So, what’s the difference? “When you generate a dossier of clinical evidence for your product,” Sheehy explains, “you then submit that to the regulator – in the US to the FDA , and in NZ to Medsafe – because you as the originator need to know that another company can’t simply copy the product, and rely on your clinical evidence to become a generic on the market, until the period of data protection is over.” Data protection – especially in the emerging field of “biologics” that is generating new and very expensive drugs – appears to be a key point in the TPP negotiations. Some 12 years of data protection, Sheehy indicates, may be being sought from the TPP. In fact, extending the period of data protection would involve the wilful blurring of two quite separate factors (a) the patent on the intellectual property, which is where the research and development effort and investment involved in developing the product is rewarded, but only for a limited period of time and (b) the related research data. Arguably, this should be made as readily available as possible to competitors wishing to enter the market. Any moves under the TPP to extend the existing five year data protection period and block generics makers from referencing that data when seeking approval for their products, would be a trade restriction. It would not be a free trade measure. Like everyone else outside the circle of business ‘stakeholders’ with greater access to the TPP process, Gleeson is reliant upon the TPP draft texts that have been leaked to date – and with health purchasing, this is a 2011 TPP text. She has heard that a revised but virtually unchanged text was presented to the 14th round of TPP negotiations held in Leesburg. Virginia in September 2012. Much of the TPP discussion relevant to Pharmac has focussed on issues of ‘transparency” – which, I suggest to her, sounds like a welcome infusion of sunlight and clarity, and one that could arguably prevent clinical decisions being skewed by commercial considerations. What’s the potential problem with “transparency” within the TPP context? 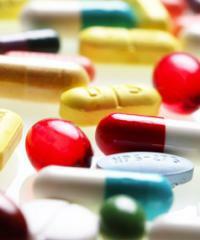 This article is not an evaluation of Pharmac, pro and con. It is merely an attempt to grasp how the TPP – with its calls for greater transparency, extended patent and data exclusivity rules etc – could well impact on Pharmac’s operations and provide the drug companies with means to leverage more money out of the health budget. In its defence, Pharmac has said elsewhere that its effectiveness cannot be measured simply by counting the number of drugs it funds or the dollars it spends. Its defenders argue that Pharmac’s legendary thriftiness means that New Zealand is less likely to fund “ me too” medicines that have almost the same mechanism of action as those already available. It also negotiates cheaper prices and pays less for the same drugs than Australia. As a result, it can afford to stay in the market for new medicines. In its annual report for 2011 for instance, Pharmac noted that 39 new medicines had been funded and access widened to 43 others, while prescription numbers rose by 7%, and an additional 214,603 people receiving funded medicines. Indeed. Especially when budgetary constraints already exist in this area. As a consequence, a measurable gap has already opened up between New Zealand and Australia in the availability of medicines. 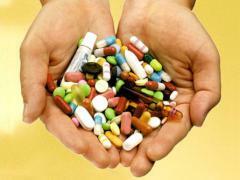 In an article in the New Zealand Medical Journal last November, that is summarised here researchers Richard Milne and Michael Wonder established that 135 new prescription medicines were listed in the Australian Schedule of Pharmaceutical Benefits, of which less than half – only 59, or 43% – were listed in the New Zealand Pharmaceutical Schedule. Moreover, “reimbursement occurred on average 33 months later in New Zealand.” The authors’ concluded : “The differences between the two countries are largely due to the differing pharmaceutical reimbursement processes.” Pharmac’s reply can be found via the same NZMJ link above, and Michael Wonder’s rejoinder to Pharmac appeared in the 16 December 2011 NZMJ issue. Footnote : Citing TPP confidentiality requirements, Pharmac declined to be interviewed for this article, even to explain its basic role and functions.